Two years in a row British Columbia has dealt with devastating wildfire seasons with the Provincial government twice declaring a state of emergency due to these fires. I thought it would be interesting to seek out a couple of women who have helicopter fire-fighting experience to share their stories. Becky Grimsrud has been a helicopter pilot for 13 years and works for Highland Helicopters in Fort St. John, BC. She has been married for 10 years and has two daughters, ages five and seven. She is an outdoor enthusiast and is very involved in her home community, sitting on several boards and running for Fort St. John’s city council twice. Seeing new places, performing in different situations almost every day, and the wide variety of jobs are things Grimsrud loves about the dynamic nature of being a helicopter pilot. “Fighting fires has its ups and downs. It depends a lot on the day and the fire,” Grimsrud says. “You have days when you are just sitting and waiting to be needed; and other days you are non-stop for your entire duty day. Bucketing can be quite difficult as well, Grimsrud explains, especially when you are the slow aircraft in a circuit with several other aircraft dipping out of the same water source, targeting the same drop zone. Tressa Clarke obtained her pilot’s licence at 23 years of age. After obtaining her commercial fixed-wing license and 50 hours in float plane training, she joined the military. This is where her interest turned to helicopters. After 13 years of working with the army on Griffons, and two deployments to Afghanistan, she decided to release from the military and work in the civilian VFR helicopter industry. Clarke works for Bailey Helicopters in Fort St. John, BC. It is her responsibility to fly customers around the sky and working at Bailey Helicopters reminds her of why she fell in love with flying. 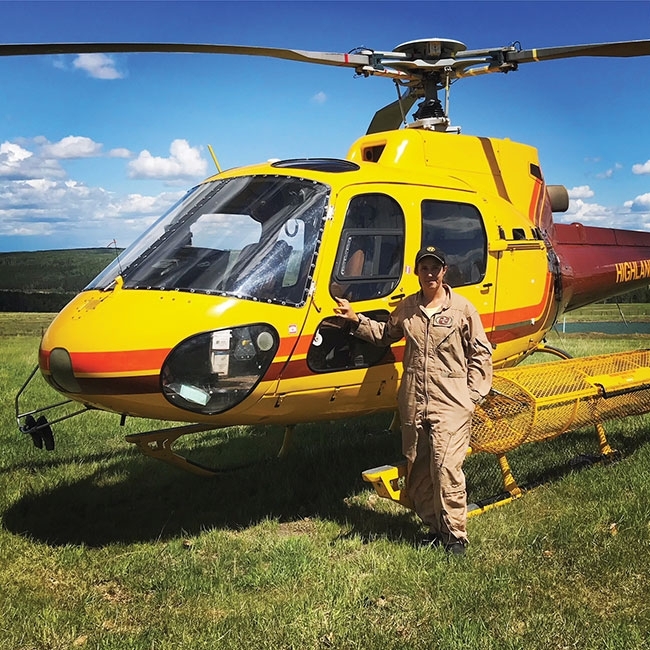 Now in her second season of flying fire support, she was most recently assigned to a fire west of Mackenzie, BC, as the administration aircraft in an AStar 350B2. This means that she primarily flies people who need to get from Point A to Point B to recce the fire, providing critical reconnaissance to plan operations. 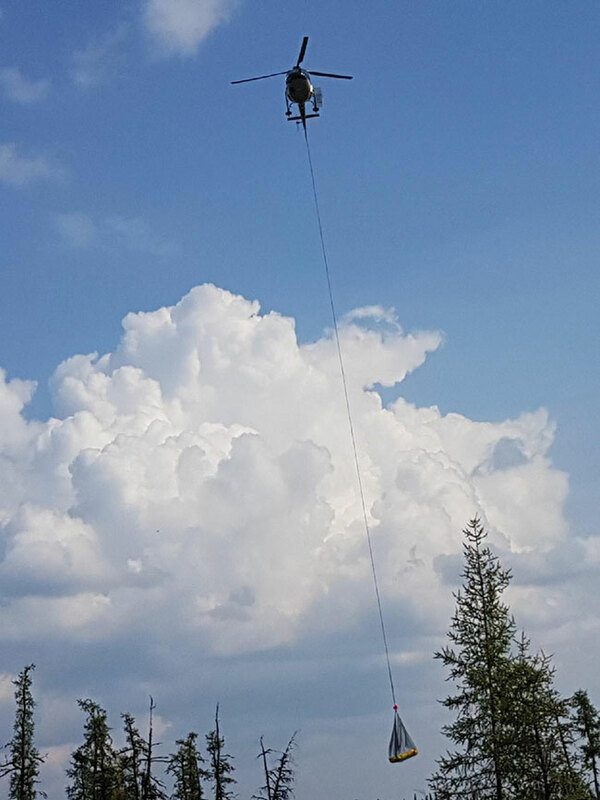 The fire west of Mackenzie was a high priority for BC Forestry because it was threatening residences. Some of the challenges that make this an exciting job, explains Clarke, are long-lining important gear and flying in low visibility conditions with several other aircraft in the same airspace. Clarke explains everyone involved has a part to play in fire support and that everyone comes together as a team when working on a fire. 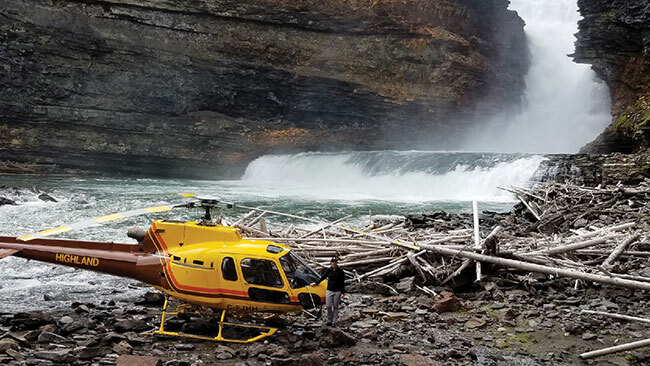 This includes the provincial forestry workers, contract workers and helicopter pilots and engineers. “It doesn’t matter what company you work for or who is flying more hours; everybody helps out and works together to fight a common enemy – the fire,” Clarke says. There are so many fulfilling jobs in the aviation industry to explore and these two women are prime examples for others to take a closer at the world of rotorcraft.